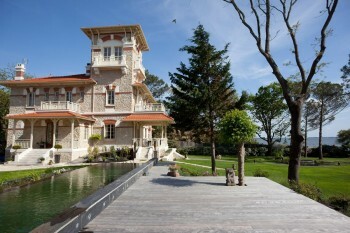 Introducing the beautiful Villa Arcachon! 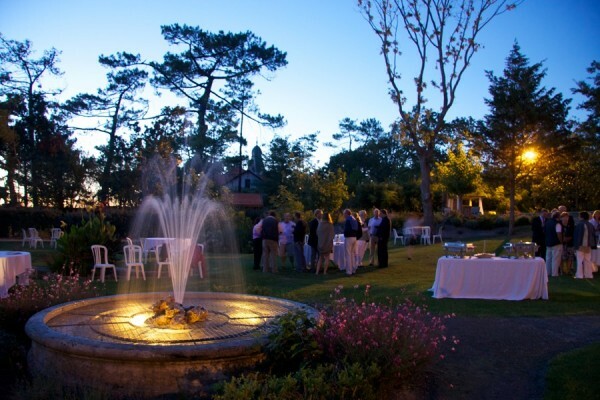 Whenever we get asked to suggest a villa suitable for a wedding or another special event, Villa Arcachon is one of the properties which springs immediately to mind! 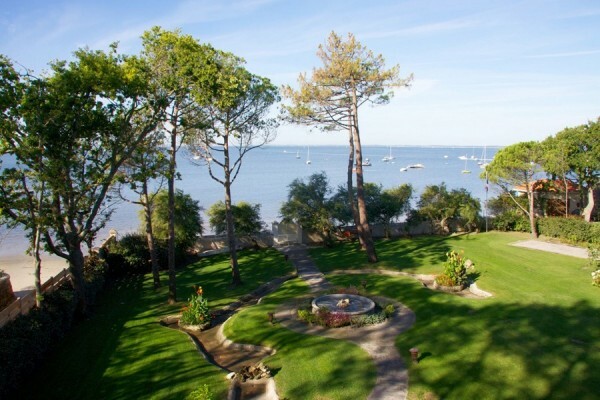 It sits in an exceptional location in the heart of the Bassin d’Arcachon, with its own direct beach access. 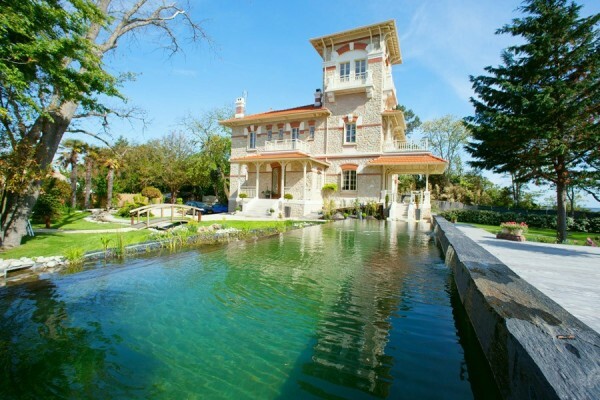 The property dates back to 1903 when it was built, in the style of an Italian lodge, for M. Germain Cumenge, Prosecutor of the Republic of Bordeaux. 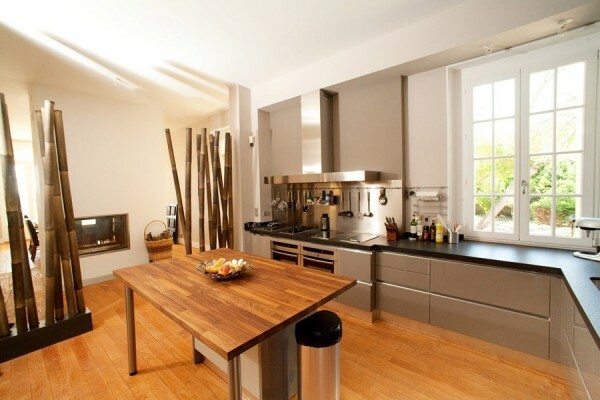 More recently the current owners have renovated both the house and its 4500m2 parks to all its former glory. 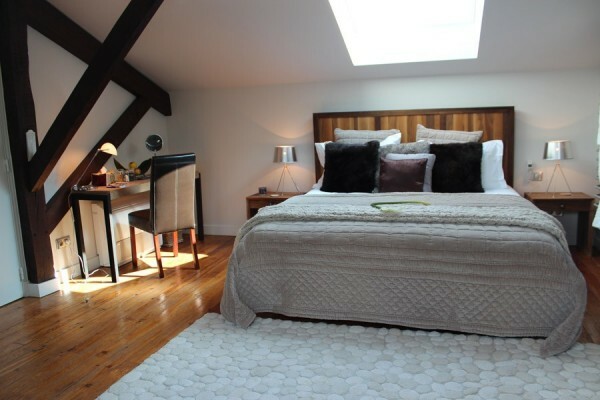 Sleeping up to 15 people, the property is also perfect for a holiday with extended family or friends, and outside high season shorter stays of less than week are accepted. 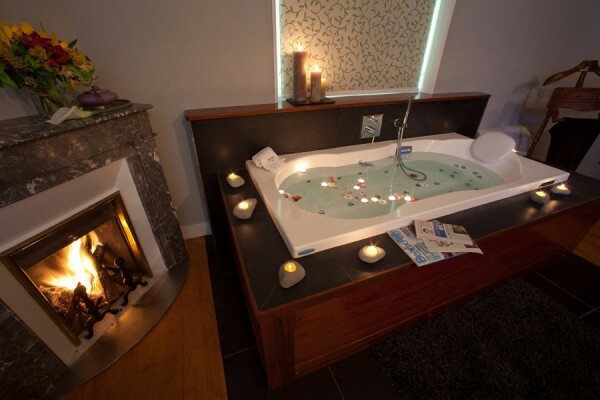 There are an extraordinary variety of advantages to be enjoyed during a stay at this property. Not only are you within easy reach of the many vineyards in the Bordeaux region, and the city itself, but apparently there are also health benefits. The particular blend of pine forest and ocean air here is very beneficial for the heart and lungs, and the thyroid glands benefit from the release of iodine which takes place here when the sea is at low tide. There are also numerous sporting activities to be enjoyed in the area, including sailing, windsurfing, paddle boarding, golf, tennis, cycling, horse riding, fishing … and for those who are more interested in relaxing, you can enjoy a massage in the privacy of your own room at the villa, or a full luxury spa session at Les Sources de Caudalie, in Bordeaux, based on grapes and vines. If you prefer the idea of tasting the grapes on vines, the staff at the property can facilitate VIP access for guests to exclusive wine and food matching tastings, wine workshops and visits to famous vineyards. 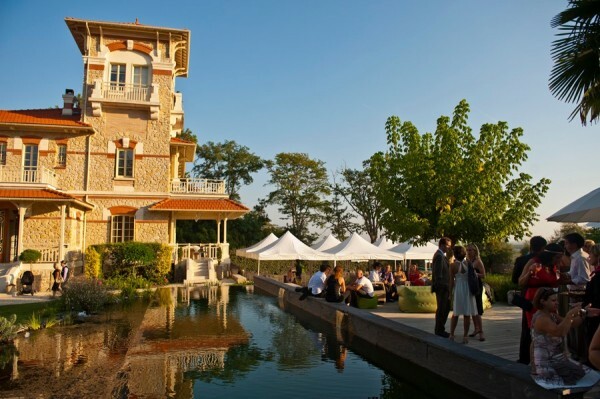 Due to the owner’s extensive contacts in the wine industry, they can also organize private access and wine purchase to chateaux which generally do not sell direct to individuals. Culinary delights on site include enjoying mouthwatering dishes using the best of local French produce prepared by a private chef. 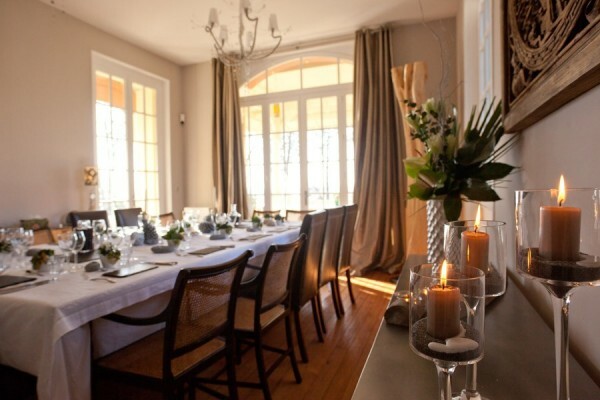 Everything from a small intimate dinner, right through to a special celebration can be catered for, depending on guests’ requirements. 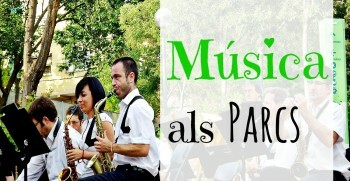 Wedding and other event planners are available to help plan the event to make it ultra-special. Don’t forget too that the Bassin d’Arcachon is the birthplace of over 80% of the oysters produced and consumed in France. Special visits can be arranged to oyster farms where you can enjoy fresh oysters and other seafood straight from the Atlantic. Aquitaine is also the centre of sturgeon farming in France, with the resulting caviar competing with the world’s finest. You can visit a farm to discover ethical breeding techniques and production of caviar, and taste test the exquisite harvest with matching wine. More foodie enticements include food shopping at speciality shops and local markets with a chef, and also a fun-filled Culinary Master Class at the villa with an experienced chef. Finally, let’s not forget Bordeaux itself, just a 45 minute drive away, and a famous centre of culture, listed as a UNESCO World Heritage Site in 2007. 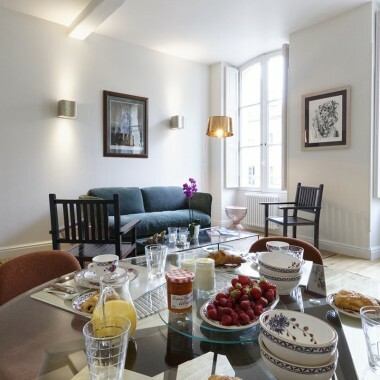 As well as being known for its art, music, theatre and opera, visitors will enjoy exploring on foot the beautiful architecture in the quartier of St Michel, dating back two centuries, and the more recent development of the quays along the Garonne River. 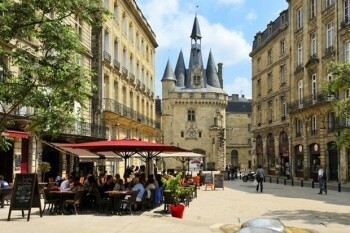 Bordeaux has more than 350 classified buildings and buildings listed as Historic Monuments. A private city/monument heritage tour can also be arranged by the villa staff.